For the hypotheses of a theorem, see Theorem. For other uses, see Hypothesis (disambiguation). "Hypothetical" redirects here. For the 2001 progressive metal album, see Hypothetical (album). A hypothesis (plural hypotheses) is a proposed explanation for a phenomenon. For a hypothesis to be a scientific hypothesis, the scientific method requires that one can test it. Scientists generally base scientific hypotheses on previous observations that cannot satisfactorily be explained with the available scientific theories. Even though the words "hypothesis" and "theory" are often used synonymously, a scientific hypothesis is not the same as a scientific theory. A working hypothesis is a provisionally accepted hypothesis proposed for further research. A different meaning of the term hypothesis is used in formal logic, to denote the antecedent of a proposition; thus in the proposition "If P, then Q", P denotes the hypothesis (or antecedent); Q can be called a consequent. P is the assumption in a (possibly counterfactual) What If question. The adjective hypothetical, meaning "having the nature of a hypothesis", or "being assumed to exist as an immediate consequence of a hypothesis", can refer to any of these meanings of the term "hypothesis". In its ancient usage, hypothesis referred to a summary of the plot of a classical drama. The English word hypothesis comes from the ancient Greek ὑπόθεσις word hupothesis, meaning "to put under" or "to suppose". In Plato's Meno (86e–87b), Socrates dissects virtue with a method used by mathematicians, that of "investigating from a hypothesis." In this sense, 'hypothesis' refers to a clever idea or to a convenient mathematical approach that simplifies cumbersome calculations. Cardinal Bellarmine gave a famous example of this usage in the warning issued to Galileo in the early 17th century: that he must not treat the motion of the Earth as a reality, but merely as a hypothesis. In common usage in the 21st century, a hypothesis refers to a provisional idea whose merit requires evaluation. For proper evaluation, the framer of a hypothesis needs to define specifics in operational terms. A hypothesis requires more work by the researcher in order to either confirm or disprove it. In due course, a confirmed hypothesis may become part of a theory or occasionally may grow to become a theory itself. Normally, scientific hypotheses have the form of a mathematical model. Sometimes, but not always, one can also formulate them as existential statements, stating that some particular instance of the phenomenon under examination has some characteristic and causal explanations, which have the general form of universal statements, stating that every instance of the phenomenon has a particular characteristic. In Entrepreneurial science, a hypothesis is used to formulate provisional ideas within a business setting. The formulated hypothesis is then evaluated where either the hypothesis is proven to be "true" or "false" through a verifiability- or falsifiability-oriented Experiment. Any useful hypothesis will enable predictions by reasoning (including deductive reasoning). It might predict the outcome of an experiment in a laboratory setting or the observation of a phenomenon in nature. The prediction may also invoke statistics and only talk about probabilities. Karl Popper, following others, has argued that a hypothesis must be falsifiable, and that one cannot regard a proposition or theory as scientific if it does not admit the possibility of being shown false. Other philosophers of science have rejected the criterion of falsifiability or supplemented it with other criteria, such as verifiability (e.g., verificationism) or coherence (e.g., confirmation holism). The scientific method involves experimentation, to test the ability of some hypothesis to adequately answer the question under investigation. In contrast, unfettered observation is not as likely to raise unexplained issues or open questions in science, as would the formulation of a crucial experiment to test the hypothesis. A thought experiment might also be used to test the hypothesis as well. In framing a hypothesis, the investigator must not currently know the outcome of a test or that it remains reasonably under continuing investigation. Only in such cases does the experiment, test or study potentially increase the probability of showing the truth of a hypothesis. :pp17,49–50 If the researcher already knows the outcome, it counts as a "consequence" — and the researcher should have already considered this while formulating the hypothesis. If one cannot assess the predictions by observation or by experience, the hypothesis needs to be tested by others providing observations. For example, a new technology or theory might make the necessary experiments feasible. People refer to a trial solution to a problem as a hypothesis, often called an "educated guess" because it provides a suggested solution based on the evidence. However, some scientists reject the term "educated guess" as incorrect. Experimenters may test and reject several hypotheses before solving the problem. A working hypothesis is a hypothesis that is provisionally accepted as a basis for further research in the hope that a tenable theory will be produced, even if the hypothesis ultimately fails. Like all hypotheses, a working hypothesis is constructed as a statement of expectations, which can be linked to the exploratory research purpose in empirical investigation. Working hypotheses are often used as a conceptual framework in qualitative research. The provisional nature of working hypotheses make them useful as an organizing device in applied research. Here they act like a useful guide to address problems that are still in a formative phase. In recent years, philosophers of science have tried to integrate the various approaches to evaluating hypotheses, and the scientific method in general, to form a more complete system that integrates the individual concerns of each approach. Notably, Imre Lakatos and Paul Feyerabend, Karl Popper's colleague and student, respectively, have produced novel attempts at such a synthesis. Concepts in Hempel's deductive-nomological model play a key role in the development and testing of hypotheses. Most formal hypotheses connect concepts by specifying the expected relationships between propositions. When a set of hypotheses are grouped together they become a type of conceptual framework. When a conceptual framework is complex and incorporates causality or explanation it is generally referred to as a theory. According to noted philosopher of science Carl Gustav Hempel "An adequate empirical interpretation turns a theoretical system into a testable theory: The hypothesis whose constituent terms have been interpreted become capable of test by reference to observable phenomena. Frequently the interpreted hypothesis will be derivative hypotheses of the theory; but their confirmation or disconfirmation by empirical data will then immediately strengthen or weaken also the primitive hypotheses from which they were derived." Hempel provides a useful metaphor that describes the relationship between a conceptual framework and the framework as it is observed and perhaps tested (interpreted framework). "The whole system floats, as it were, above the plane of observation and is anchored to it by rules of interpretation. These might be viewed as strings which are not part of the network but link certain points of the latter with specific places in the plane of observation. By virtue of those interpretative connections, the network can function as a scientific theory" Hypotheses with concepts anchored in the plane of observation are ready to be tested. In "actual scientific practice the process of framing a theoretical structure and of interpreting it are not always sharply separated, since the intended interpretation usually guides the construction of the theoretician." It is, however, "possible and indeed desirable, for the purposes of logical clarification, to separate the two steps conceptually." When a possible correlation or similar relation between phenomena is investigated, such as whether a proposed remedy is effective in treating a disease, the hypothesis that a relation exists cannot be examined the same way one might examine a proposed new law of nature. In such an investigation, if the tested remedy shows no effect in a few cases, these do not necessarily falsify the hypothesis. Instead, statistical tests are used to determine how likely it is that the overall effect would be observed if the hypothesized relation does not exist. If that likelihood is sufficiently small (e.g., less than 1%), the existence of a relation may be assumed. Otherwise, any observed effect may be due to pure chance. In statistical hypothesis testing, two hypotheses are compared. These are called the null hypothesis and the alternative hypothesis. The null hypothesis is the hypothesis that states that there is no relation between the phenomena whose relation is under investigation, or at least not of the form given by the alternative hypothesis. The alternative hypothesis, as the name suggests, is the alternative to the null hypothesis: it states that there is some kind of relation. The alternative hypothesis may take several forms, depending on the nature of the hypothesized relation; in particular, it can be two-sided (for example: there is some effect, in a yet unknown direction) or one-sided (the direction of the hypothesized relation, positive or negative, is fixed in advance). Conventional significance levels for testing hypotheses (acceptable probabilities of wrongly rejecting a true null hypothesis) are .10, .05, and .01. Whether the null hypothesis is rejected and the alternative hypothesis is accepted, must be determined in advance, before the observations are collected or inspected. If these criteria are determined later, when the data to be tested are already known, the test is invalid. The above procedure is actually dependent on the number of the participants (units or sample size) that is included in the study. For instance, the sample size may be too small to reject a null hypothesis and, therefore, it is recommended to specify the sample size from the beginning. It is advisable to define a small, medium and large effect size for each of a number of important statistical tests which are used to test the hypotheses. Wikisource has the text of the 1911 Encyclopædia Britannica article Hypothesis. 1 2 Hilborn, Ray; Mangel, Marc (1997). The ecological detective: confronting models with data. Princeton University Press. p. 24. ISBN 978-0-691-03497-3. Retrieved 22 August 2011. ↑ Wilbur R. Knorr, "Construction as existence proof in ancient geometry", p. 125, as selected by Jean Christianidis (ed. ), Classics in the history of Greek mathematics, Kluwer. ↑ "Neutral hypotheses, those of which the subject matter can never be directly proved or disproved, are very numerous in all sciences." — Morris Cohen and Ernest Nagel (1934) An introduction to logic and scientific method p. 375. New York: Harcourt, Brace, and Company. ↑ "Bellarmine (Ital. Bellarmino), Roberto Francesco Romolo", Encyclopædia Britannica, Eleventh Edition. 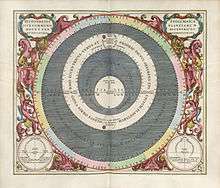 : 'Bellarmine did not proscribe the Copernican system ... all he claimed was that it should be presented as a hypothesis until it should receive scientific demonstration.' This article incorporates text from a publication now in the public domain: Chisholm, Hugh, ed. (1911). "article name needed". Encyclopædia Britannica (11th ed.). Cambridge University Press. ↑ Crease, Robert P. (2008) The Great Equations ISBN 978-0-393-06204-5, p.112 lists the conservation of energy as an example of accounting a constant of motion. Hypothesized by Sadi Carnot, truth demonstrated by James Prescott Joule, proven by Emmy Noether. ↑ Harvard Business Review (2013) "Why Lean Startup Changes Everything"
↑ Tristan Kromer 2014 "Success Metric vs. Fail Condition"
↑ Lean Startup Circle "What is Lean Startup?" ↑ Schick, Theodore; Vaughn, Lewis (2002). How to think about weird things: critical thinking for a New Age. Boston: McGraw-Hill Higher Education. ISBN 0-7674-2048-9. ↑ Oxford Dictionary of Sports Science & Medicine. Eprint via Answers.com. ↑ See in "hypothesis", Century Dictionary Supplement, v. 1, 1909, New York: The Century Company. Reprinted, v. 11, p. 616 (via Internet Archive) of the Century Dictionary and Cyclopedia, 1911.
hypothesis [...]—Working hypothesis, a hypothesis suggested or supported in some measure by features of observed facts, from which consequences may be deduced which can be tested by experiment and special observations, and which it is proposed to subject to an extended course of such investigation, with the hope that, even should the hypothesis thus be overthrown, such research may lead to a tenable theory. ↑ Patricia M. Shields, Hassan Tajalli (2006). "Intermediate Theory: The Missing Link in Successful Student Scholarship". Journal of Public Affairs Education. 12 (3): 313–334. ↑ Patricia M. Shields (1998). "Pragmatism As a Philosophy of Science: A Tool For Public Administration". In Jay D. White. Research in Public Administration. 4. pp. 195–225 . ISBN 1-55938-888-9. ↑ Hempel, C. G. (1952). Fundamentals of concept formation in empirical science. Chicago, Illinois: The University of Chicago Press, p. 36. 1 2 Hempel, C. G. (1952). Fundamentals of concept formation in empirical science. Chicago, Illinois: The University of Chicago Press, p. 33. "How science works", Understanding Science by the University of California Museum of Paleontology.